Take a moment and think about how many artifacts of popular culture have endured for 80 years. Even if you’ve got an extensive knowledge of culture or just spend a lot of time browsing Wikipedia, it shouldn’t take long to realize how short that list is. That makes the icons on that list all the more endearing. Near the top of that list is Superman. Even if you’re not a comic book nerd and can’t stand to watch more than five minutes of a superhero movie, it’s impossible to deny the special place Superman has in our culture. He’s not just a comic book character. He’s not just a superhero either. He’s in a league of his own that transcends any one genre. That became abundantly clear this past week when Superman celebrated his historic 80th anniversary with the release of Action Comics #1000. As an admitted comic book fan who goes out of his way to explore the deeper messages and implications of comics, this was a pretty big deal for me. Now, I don’t consider myself as big a Superman fan as I am an X-men fan. I like to think I’ve made my love of X-men quite apparent on this site. However, I still enjoy my share of Superman content. Beyond the comics, I grew to love Superman through his animated series and the Justice League cartoon that was produced by Bruce Timm. To date, those and the Richard Donner “Superman” movie are the definitive Superman for me. As much as I love those incarnations, though, I understand that Superman’s history is much broader than that. 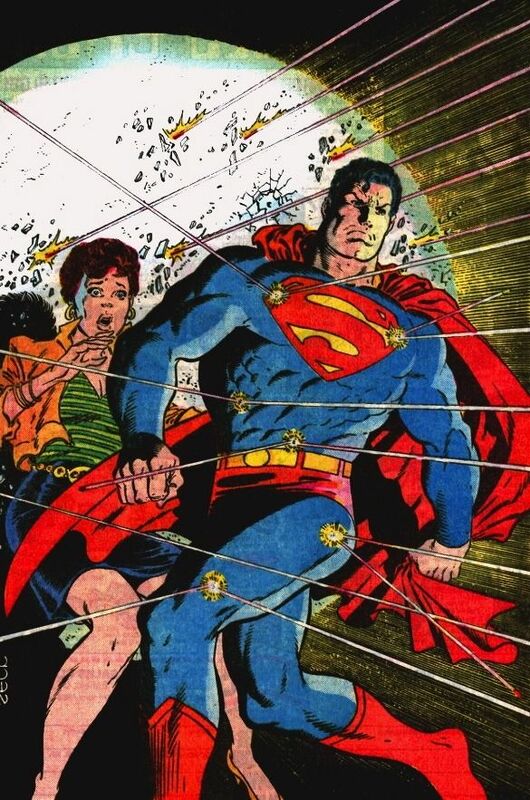 A character doesn’t endure for 80 years without having a rich history and Superman certainly has plenty of that. In that history, he’s evolved a lot in terms of style and portrayal. 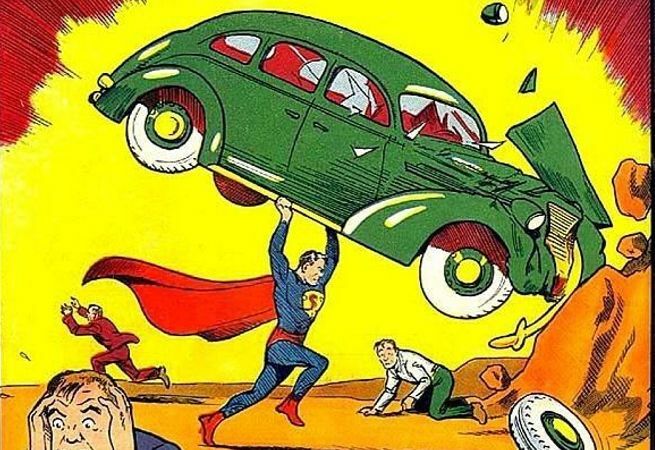 From battling Nazis in the early 1940s to ditching his iconic red trunks for a while, Superman has had his share of reinvention over the years. Through all these changes, though, Superman has always embodied a specific set of ideals that helps cement his status as an icon. 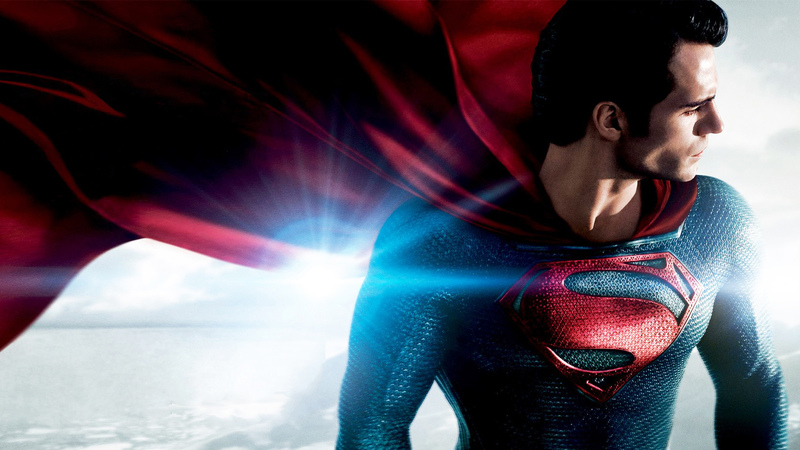 From his earliest days to his most recent movie version, Superman at his core is an inspiration. He’s epitomizes just how good a hero can be and how profoundly he can influence others. Some call him the ultimate Boy Scout. Some call him the perfect goody-two-shoes. Some even go so far as to claim that his nauseatingly good nature that Christopher Reeves captured so perfectly in the movies makes him a boring character. Given the sheer breadth of his power, which include some truly insane feats, I can understand that to some degree. At the same time, though, I would also argue that same annoyingly wholesome nature is part of what makes Superman something much greater than an overpowered superhero. I would even go so far as to say that’s part of what has helped him endure for 80 years and made him an icon that transcends comic books, movies, and heroics in general. There’s a long, if not bloated, list of superheroes of varying degrees of power. Some are even more powerful than Superman. However, just having power isn’t enough, as any Batman fan will tell you. It’s how a hero uses that power and why they do what they do that helps define them. 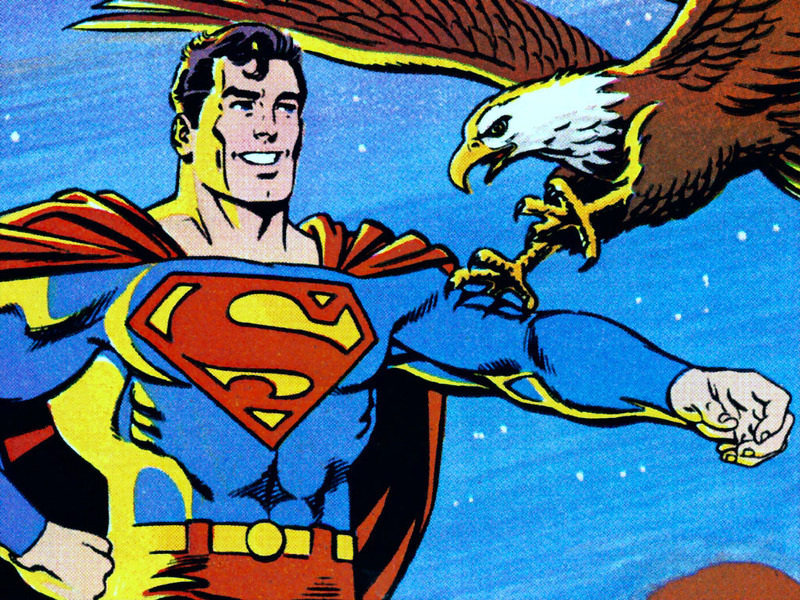 By that standard, Superman is the gold standard. His heroism is very much the standard by which all others are measured. He has the power to do things that aren’t just incredible. They’re outright impossible. He still does them, though, because he’s Superman. However, it’s why he does them that’s more important. Compared to why other heroes do what they do, Superman’s reasons for using all that power for good is as simple as it is profound. It’s the right thing to do. He doesn’t need someone to kill his parents. He doesn’t need to be bound by duty or driven by guilt. He just does the right thing because it’s the right thing. That’s all there is to it. It’s so simple that it’s almost inane, but it’s profound in its implications. I even explored some of those implications when I explored the nihilistic implications of Superman’s morality, drawing comparisons to Rick Sanchez from “Rick and Morty” of all characters. Regardless of how strong those comparisons are, it doesn’t undercut the impact of that idea. It’s a big part of what helps Superman inspire others. It’s very much a part of why he still matters today, especially in an era where every heroic character needs some sort of catalyst to become a hero, whether it’s a princess getting kidnapped or someone shooting their dog. Superman doesn’t need any of that. He just does the right thing with his powers because it’s the right thing. That’s all there is to it. That might not seem like a big deal, especially compared to the more elaborate journeys that other characters go on the path of heroism. Why would someone even want to follow a journey of someone who just does the right thing from the start and doesn’t need to team up with any talking raccoons along the way? The answer to such a cynical question comes back to inspiration. It’s something that has only become more valuable as we get bombarded by countless bleak headlines. Superman is capable of so much, both in terms of his immense power and altruistic persona. He has such an immense impact when he saves the world, whether by outsmarting Lex Luthor or snapping General Zod’s neck. However, it’s how those actions inspire others that elevates Superman’s heroics. He doesn’t wear a mask. He doesn’t hide in the shadows. He lets people see his face. He smiles and talks towards civilians, fellow heroes, and even other villains, as Action Comics #1000 so fittingly explored. It’s not just enough to do heroic things. Superman seeks to inspire the heroism in others. That sentiment is beautifully echoed through the iconic voice of Marlon Brando in Richard Donner “Superman” movie. 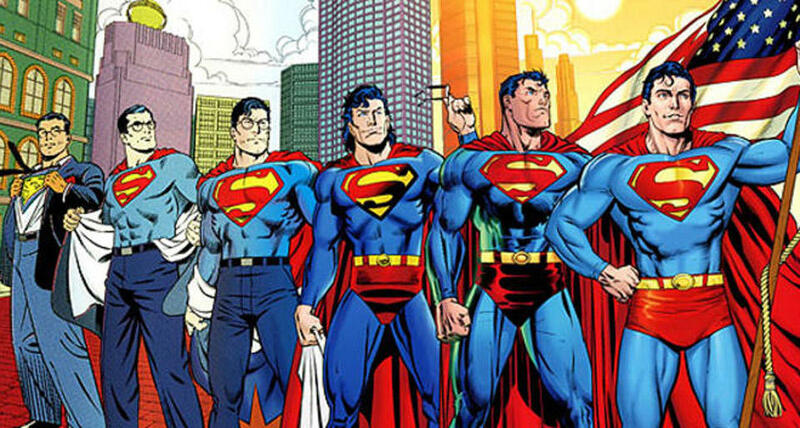 Even today, after 80 years, they still help define the spirit of Superman. Live as one of them, Kal–El. Discover where you strength and your power are needed. Always hold in your heart the pride of your special heritage. They can be a great people, Kal–El, they wish to be. They only lack the light to show the way. For this reason above all, their capacity for good, I have sent them you, my only son. These are the words of Superman’s biological father, Jor-El. They don’t just lay the foundation for a hero. They reflect the spirit that eventually becomes Superman. They don’t just encourage Superman to use his immense power to help people. They encourage him to inspire. That inspiration, the idea that a being of such immense power can do the right thing just because it’s the right thing, is why Superman endures. It’s also why he matters now more than ever. We’ve become so accustomed to seeing other iconic heroes and people in the real world get corrupted by power. Superman sets himself apart, showing that it is possible to have great power and still do the right thing. In a world full of cynical people who may be getting more nihilistic with each frustrating headline, that’s an important concept to preserve. Having power doesn’t have to corrupt someone in the same way that doing the right thing doesn’t require some elaborate motivation, be they dead parents or some failed prophecy. It’s possible to just do the right thing because it’s the right thing. It’s not enough to just save the day. Superman gives others the hope, strength, and drive to make a better tomorrow. Say what you will about the ending of “Dawn of Justice,” but the breadth of the impact that Superman had on the world through his sacrifice was powerful. It shows why his greatest power is, and always has been, doing the right thing. That spirit of incorruptible goodness was critical in 1938 and it’s just as critical now in 2018. I would argue it’ll still be critical in 2118, even if we’ve all evolved into cyborgs at that point. Doing the right thing for others in the spirit of pure, untainted altruism is a powerful message and one that Superman embodies to the utmost. That’s what makes him an icon now. That’s why he’ll be an icon for years to come.